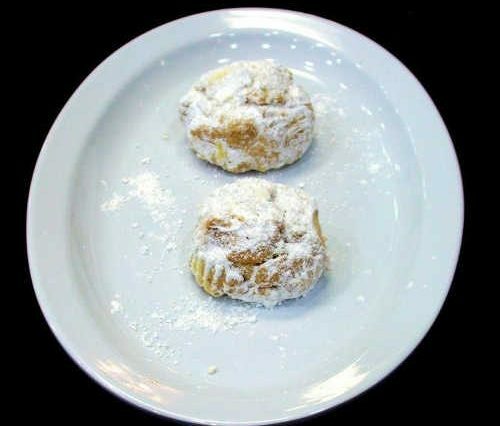 Pastry with walnuts, cinnamon cloves and honey. Juicy sliced gyros strips on a platter or wrap. 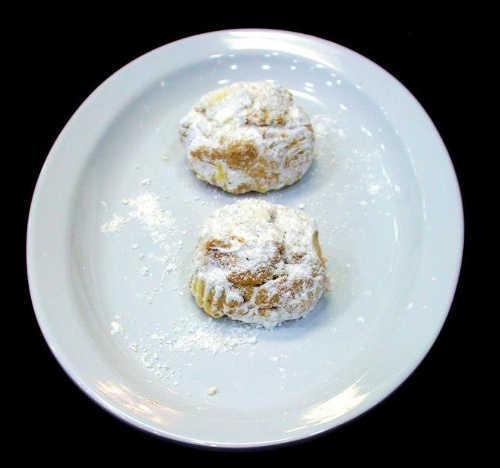 Gyromania Grill is a contemporary Greek-Mediterranean casual dining restaurant with healthy, high quality ingredients that will make you yearn to come back time and time again. 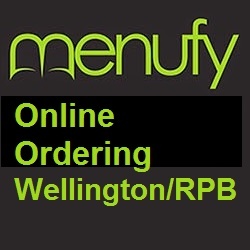 Our food is not frozen or pre-cooked so that you can taste its freshness. 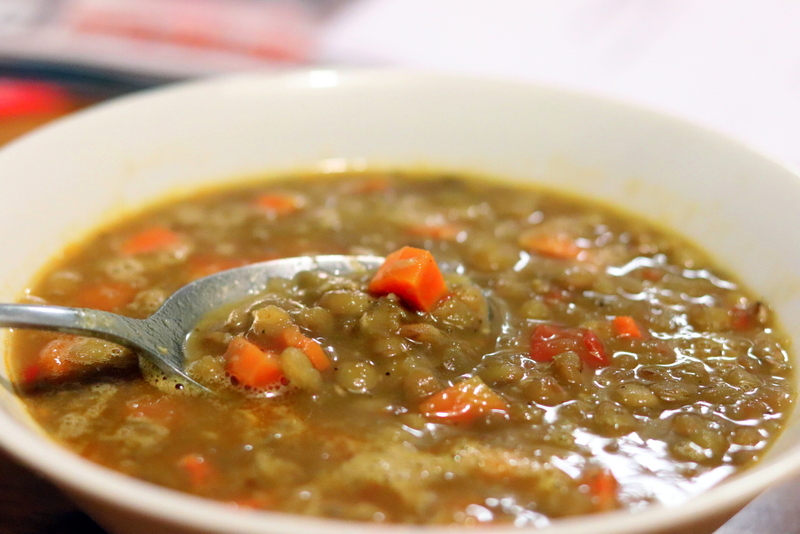 This is the closest you will come to home-made cooking at any restaurant. 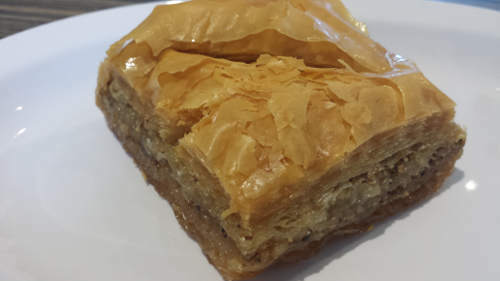 Our menu includes Gyros and Souvlaki (Chicken, Pork or Beef) served in wraps or platters, lamb chops, a tasty salmon platter and classic American and Greek desserts such as cheesecake, baklava, galaktoboureko and kourabiedes. 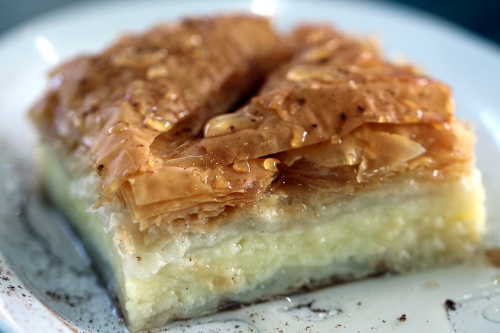 Choice of side dishes include French Fries, Lemon Potatoes, Rice and Salad. Tzatziki sauce (mixture of yogurt, cucumbers, garlic and dill) served with sliced warm pita bread. Creamy hummus (spread made from chickpeas, olive oil, lemon juice and garlic) served with sliced toasted pita bread. 4 stuffed grape leaves with rice and herbs topped with house dressing. Baked philo with spinach, feta cheese and herbs. Lightly breaded Calamari fried crispy and served with marinara sauce and lemon wedges. Pan-seared Greek cheese (Kefalograviera). 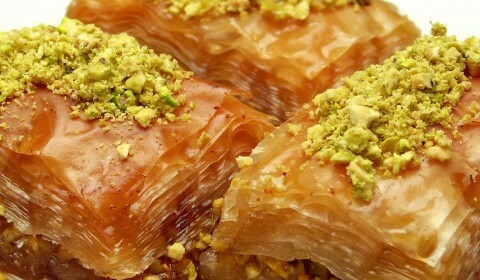 Served with warm sliced pita and lemon wedges. 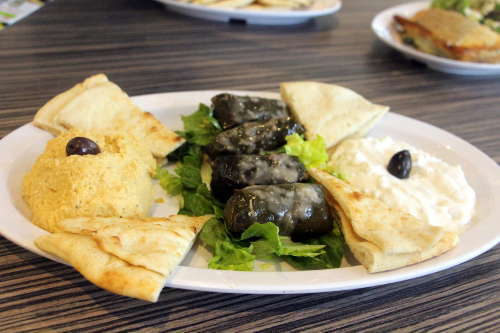 A sampler platter of Dolmathakia (stuffed grape leaves), hummus and tzaztziki served with sliced toasted pita bread. A pita wrap with a spicy twist that includes tomatoes, onions, fries and spicy cheese spread (tyrokafteri). 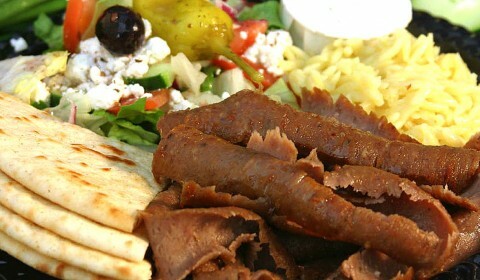 Specially seasoned beef and lamb meat served with tzatziki sauce, tomatoes, onions and cucumbers. Chunks of marinated pork wrapped in warm pita bread with tzatziki sauce, tomatoes, onion and cucumbers. Pieces of marinated and grilled chicken wrapped in warm pita with tzatziki sauce, tomatoes, cucumbers and onions. Chunks of marinated beef with tzatziki, tomatoes, cucumbers and onions wrapped in a toasted pita. Thinly cut steak topped with cheese and onions. Thinly cut steak with cheese, green peppers, onions and mushrooms. Tuna salad with lettuce, tomatoes and onions. Lettuce, tomatoes, onions, green peppers, cucumbers, feta cheese and house dressing. Deep-fried falafel balls with tzatziki, tomatoes, cucumbers, lettuce and onions. Romaine salad, tomatoes, onions, cucumbers, green peppers, feta cheese, black olives & house dressing. Served with warm sliced pita bread. Romaine salad, tomatoes, onions, cucumbers, green peppers, feta cheese, black olives & house dressing. Romaine lettuce, caesar dressing, croutons and parmesan cheese. Served with warm sliced pita bread. Greek salad made the traditional way with tomatoes, onions, cucumbers, green peppers, feta cheese, black olives, vinegar, olive oil and oregano. Served with warm sliced pita bread. Seasoned grilled chicken tenderloins served with warm pita slices and tzatziki sauce and choice of two sides. Fresh salmon grilled and seasoned to perfection served with 2 sides of your choice. 8 delicious deep-fried falafel balls made from ground chickpeas served with tzatziki sauce and choice of 2 sides. 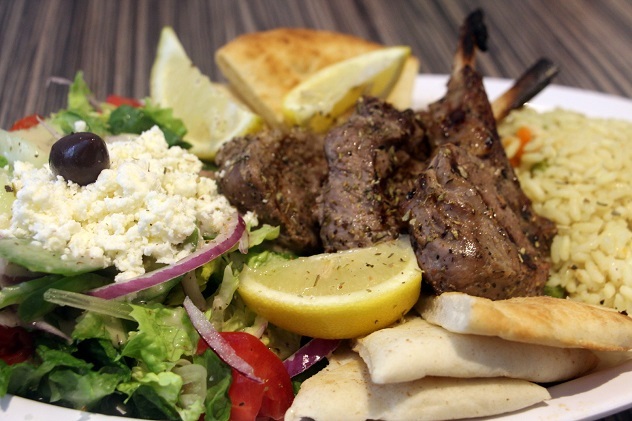 Two skewers of marinated lamb, sliced pita bread and tzatziki served with choice of two sides. Two skewers of marinated pork or chicken served with grilled and sliced pita, tzatziki and choice of two sides. Two skewers of marinated and grilled beef tenderloins served with pita bread slices, tzatziki and choice of two sides. 2 Greek-style burgers topped with feta cheese, served with pita bread slices, tzatziki and choice of two side items. 8 breaded and deep-fried chicken wings with choice of hot or mild sauce and choice of 2 sides. 3 breaded and deep-fried chicken tenders served with honey mustard or BBQ sauce. and choice of 2 sides. 8 Breaded and deep-fried butterfly shrimp, served with cocktail sauce and 2 side items of your choice. 3 Grilled shrimp skewers topped with sauteed tomatoes and melted feta cheese and 2 side items of your choice. Seasoned beef and lamb slices served with pita bread, tzatziki and choice of two side items. 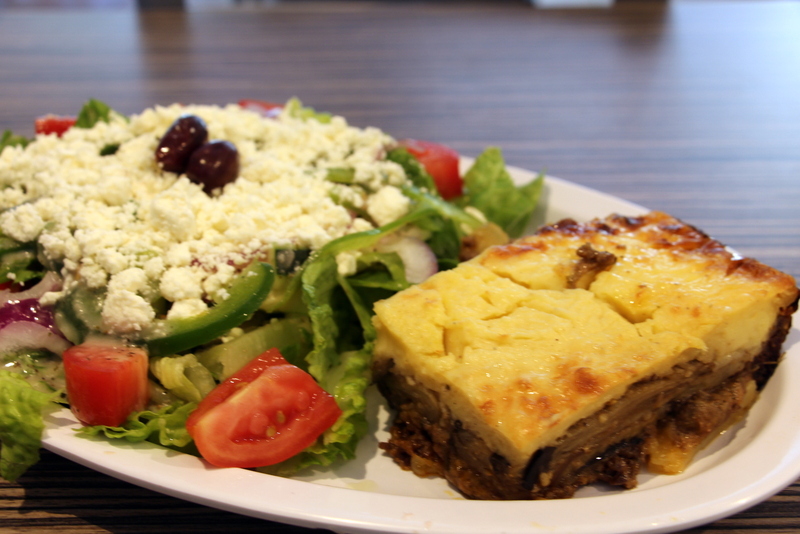 Layers of ground beef, eggplant and potatoes topped with creamy bechamel served with a side salad. 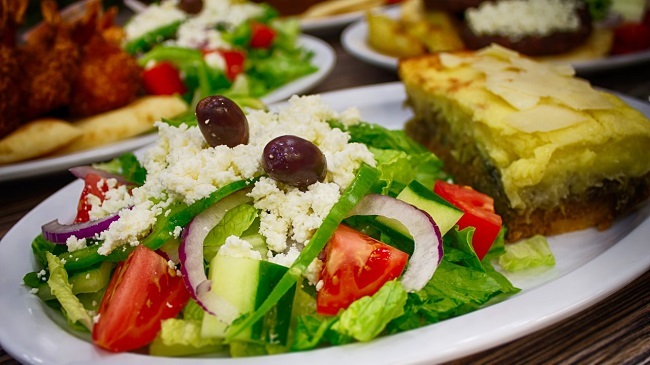 Baked philo dough with spinach, feta cheese and fresh herbs served with a side salad. A single all-beef patty flame grilled and served on a sesame seed bun topped with lettuce, cheese, tomato and mayonnaise. 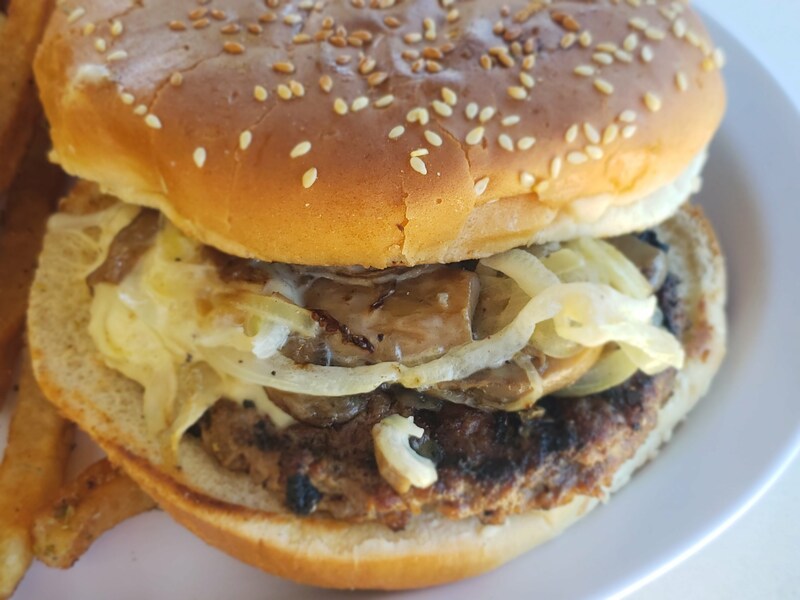 A single all-beef patty flame grilled topped with grilled onions, grilled mushrooms and a slice of cheese. Greek style peas simmered in tomato sauce with sauteed onions, garlic and fresh dill. Green beans simmered in a tomato sauce with sauteed onions, garlic and fresh parsley. Oven roasted potato wedges baked with lemon, olive oil and oregano. Fresh cut seasoned French fries. Fresh Cut French fries topped with crumbled feta cheese and oregano. Warm pita bread cut in wedges. Pork or Chicken kebabs, marinated and broiled on skewers. Beef kebabs marinated and broiled on a skewer. Lamb kebab marinated and broiled on a skewer. 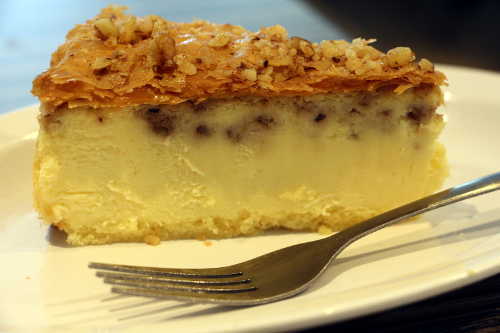 The best of both worlds – New York style cheesecake and Greek Baklava! Includes a child size serving of sliced Gyro, french fries or rice pilaf and a fountain beverage. Includes one skewer of chicken souvlaki, french fries or rice pilaf and a fountain beverage. Flame grilled Hamburger or Cheeseburger (extra 0.75) served on a sesame seed bun with choice of fries or rice and a fountain beverage. Two (2) Deep Fried Chicken Tenders served with fries or rice and a fountain beverage.